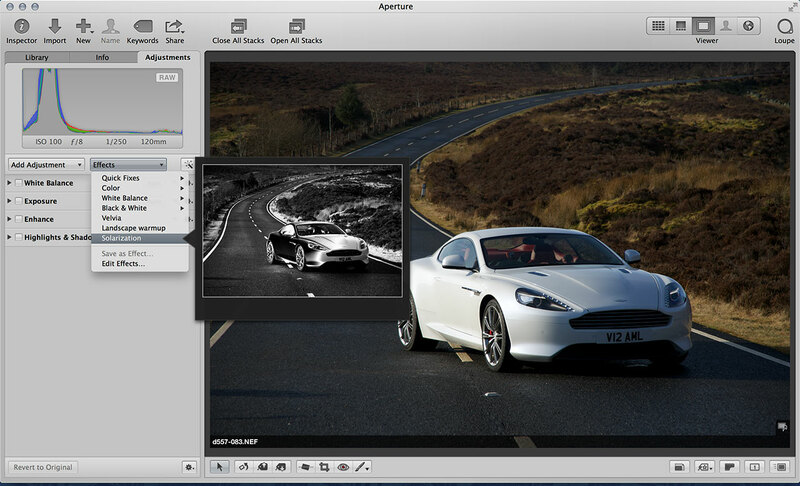 Aperture comes with a small selection of ready-made effects which you can apply to your photos simply by selecting them from a menu. But did you know you can import new effects created by others? It’s really easy to do, and here’s how. 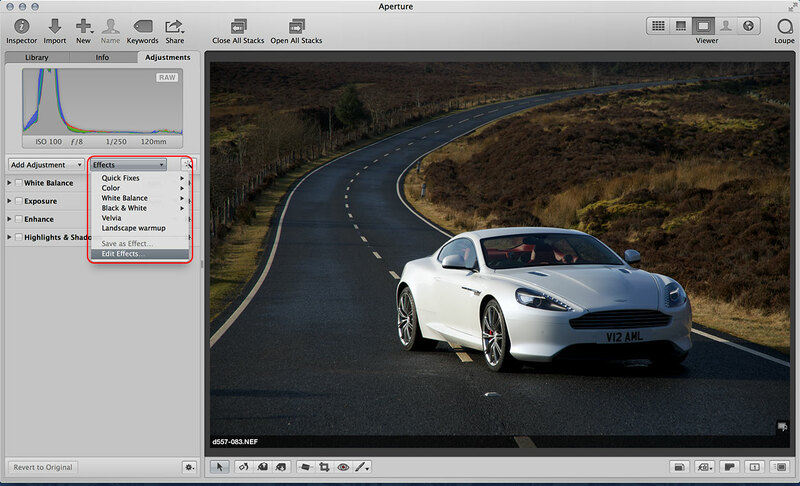 With the Adjustment Inspector open, look for the drop-down Effects menu just beneath the histogram. Open this, then choose the ‘Edit Effects’ option. 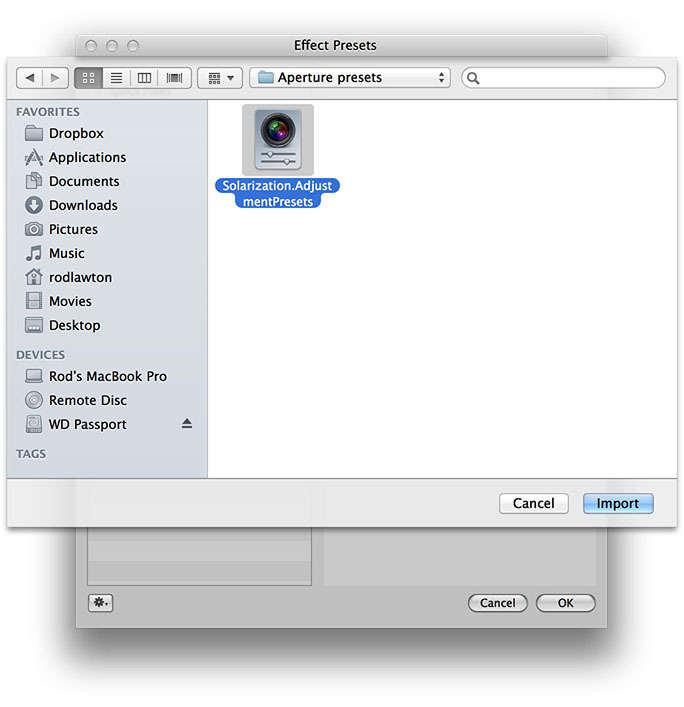 You’re prompted to find the effect you want to import, and this is what they look like. In fact you can try it out for real by downloading this specially-prepared Aperture effect – it’s a black and white Solarization effect. Just click on the link above to download the file, and choose a location you’ll be able to find again later. 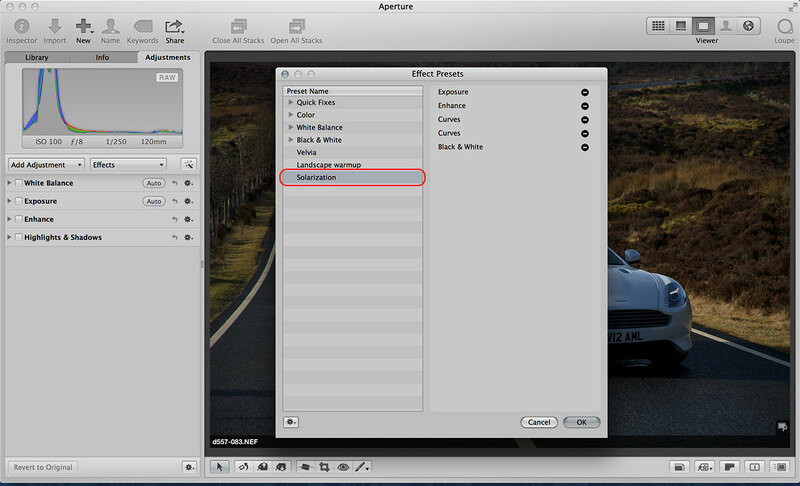 Once the effect is imported, it’ll be visible in the Edit Effects dialog. If you’ve followed the previous step you should see this new ‘Solarization’ effect in your list. The rest is simple. 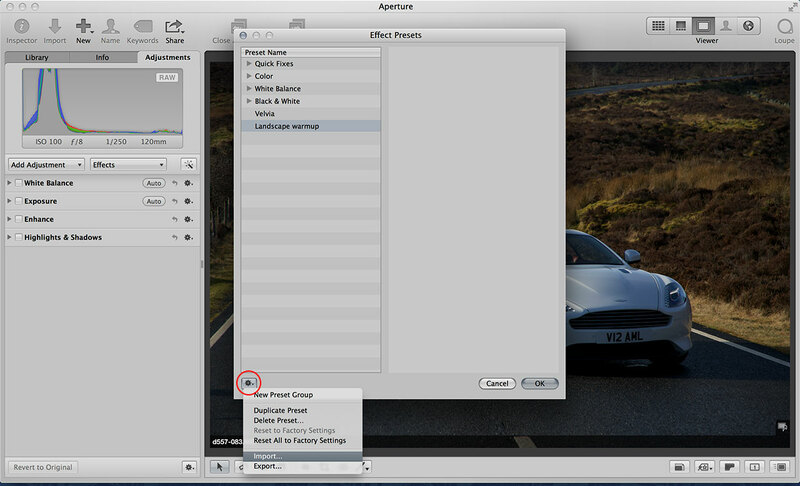 Just open the Effects menu in the Adjustment Inspector – you’ll find your new effects added to the menu, and you can hover the mouse over the effect to preview it just as you would with the built-in effects.